Belgravia Area Guide - What makes Belgravia so great? Where do Belgravia locals go? Share your favourite place to go to in Belgravia. "Ebury Street was home to famous composer Mozart and it is here that he composed his first ever symphony in 1764 at the age of eight." 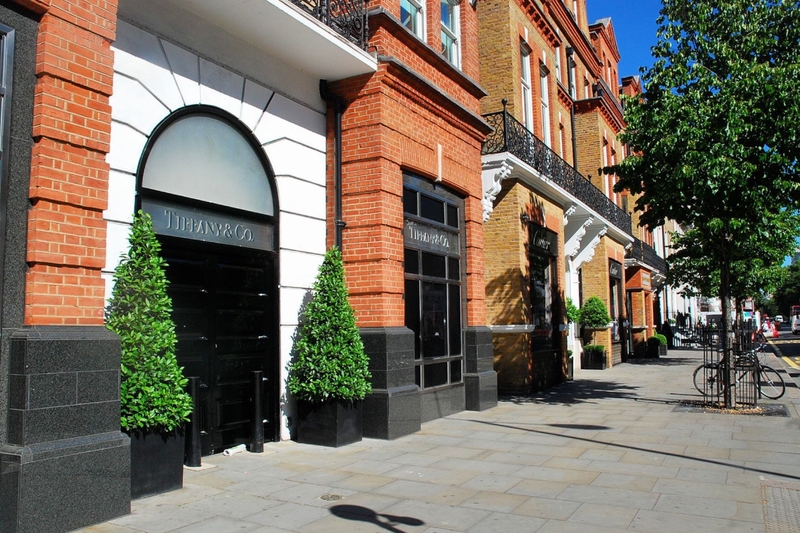 From Tiffany to Cartier, Sloane Street epitomises the luxurious appeal of Chelsea. Belgravia is a lovely yet high-end area with beautiful parks and squares. What do you think of Belgravia? Belgravia is a district of central London in the City of Westminster and the Royal Borough of Kensington and Chelsea, and can alternatively be considered to comprise part of the districts of Knightsbridge or Chelsea. Noted for its immensely expensive residential properties, it is one of the wealthiest districts in the world. The district lies to the south-west of Buckingham Palace, and is approximately bounded by Knightsbridge to the north (the street of that name, not the district), Grosvenor Place and Buckingham Palace Road to the east, Pimlico Road to the south, and Sloane Street to the west. The area takes its name from one of the Duke of Westminster's subsidiary titles, Viscount Belgrave. The nearest London Underground stations are Hyde Park Corner, Knightsbridge and Sloane Square. London Victoria station, a major National Rail, tube and coach interchange, is to the east of the district. What are your favourite things about Belgravia? Find out how much your flat or house is worth om Belgravia. Feedback about living in Belgravia has been submitted directly by the public and may not neccessarily reflect the views of Foxtons. The description of Belgravia was modified from Wikipedia and is available under the Creative Commons licence. Land Registry data is Crown copyright. All the views and contributions contained within Foxtons Local Life are those of the contributors. All content is assessed before publishing for taste, however free opinion is encouraged. Foxtons accept no payment or sponsorship for content that is posted about Belgravia.